It is intuitively obvious that sensible exercise is good for us. If nothing else, it makes that afternoon snack easier to rationalize. New research has just been published that shows that a moderate exercise regimen can dramatically reduce the risk of breast cancer. 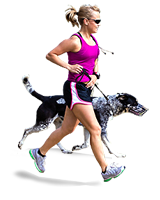 Researchers at the University of Minnesota were interested in the relationship between exercise and the metabolism of estrogen. Estrogen is a hormone that, in addition to other benefits, seems to play a role in reducing breast cancer risk. The study involved nearly 400 sedentary (but healthy) women, divided into two groups. Once group continued their inactive lifestyle while the other group committed to at least a half hour of moderate exercise at least five times a week. After four months, the two groups of women were examined. As one might expect, the group who adopted a regular exercise routine had better cardiovascular capacity and improved BMI. What stood out, though, was that they also had a 25% increase in levels of some metabolites of estrogen that were linked with reduced breast cancer risk. So it appears that moderate exercise causes a woman’s body to break down estrogen into beneficial metabolites which help fight off cancer. This result supported an earlier study which examined the health of 3,000 women over age 20, with some as old as 98. About half of the women had breast cancer and half did not. When they evaluated their exercise habits they noticed some trends. Women in all age groups showed a beneficial relationship between exercise and avoiding breast cancer (about 6%). The largest benefit was experienced by women with children who exercised 10-20 hours a week. They showed a 30% lower incidence of breast cancer. The benefits measured in both studies did not require gym memberships or personal trainers. The only requirement was a disciplined approach to actually being active on a consistent basis. Just walking at a moderate pace was enough. 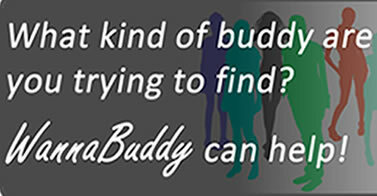 So, gals, grab a walking buddy and get walking! It could make a major difference in your long-term health!